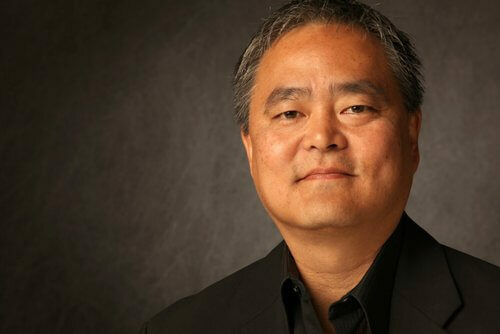 Mark Masuoka, former Director and CEO of the Bemis Center for Contemporary Arts since 2003, has accepted a similar position at the Akron Art Museum in Akron, Ohio. Though Masuoka’s professional journey in the visual arts began in Las Vegas, Nevada, he has gradually worked his way eastward via Denver next, then Omaha and now the fifth largest city in Ohio with a metropolitan population of over 700,000, just 30 miles from Cleveland. He says he feels his career is sort of “coming full circle” as he earned a Master of Fine Arts degree from the Cranbrook Academy of Art in Bloomfield Hills, Michigan. It was at Cranbrook that Masuoka and his wife, Debbie, an accomplished sculptor, first met internationally famous artist and mentor Jun Kaneko, the co-founder with wife and artist Ree Schonlau of the Bemis Center. Their association later led to Masuoka’s artist residency at Bemis and his eventual 10-year tenure as director. But not before his gallery experience in Las Vegas and Denver and serving as chief curator and director at the Nevada Institute for Contemporary Art and the Museum of Contemporary Art Denver. During this period of about 30years, Masuoka has reinvented himself as artist, resident, curator and leader. Which seems only fitting, because though once known as the “Rubber Capital,” Akron now calls itself, “The City of Invention,” a leading center for polymer research and development. Besides boasting an art museum known for its collections and exhibitions, the city is home to the Ohio Ballet and the Akron Symphony Orchestra. Yet, like Akron itself, the 91-year-old AAM knows it can’t afford to stand still. A key component of Masuoka’s vision and experience has been his desire to create a “collector culture,” by engaging the museum in the entire artistic process of an exhibition, from its incubation to its presentation and possible purchase. Masuoka speaks proudly of how he and former Bemis Chief Curator Hesse McGraw were able to do so with such artists as Keith Jacobshagen and Therman Statom. They approached each and asked them what would they like to do and show that they had never quite done before, and then offered to have the venue and staff facilitate each. The results were Jacobshagen’s landscape painting installation, A Golden Year, and Statom’s glass and mixed media installation, Nascita, which not only exhibited there but evolved in the gallery as well. Even though Bemis was unable to find a buyer for the entire exhibition of either, Masuoka believes that a traditional museum working directly with an artist will enable the final goal of acquisition by that venue. While Masuoka will miss Omaha’s art scene and is “grateful to the many people who made it possible, as well as for the part Debbie and I played in it,” they look forward to taking up new residency of their own, July 15, back east, in a comfort zone professionally and personally.